As the only pure human, Batman represents us in a world of superpeople. So why does he need to go so dark to do what he needs to do? Moreover, what does it say about us that he needs to be so dark for us to accept him as a relevant hero? The Batman of the ’60s didn’t have armor. He wore bright clothing and drove around in a convertible with his teenage sidekick. He made jokes. He spent his money on expensive cars and state-of-the-art technology like Shark Repellant. He didn’t need any help winning fights. Going dark didn’t help with that. It’s probably the opposite. 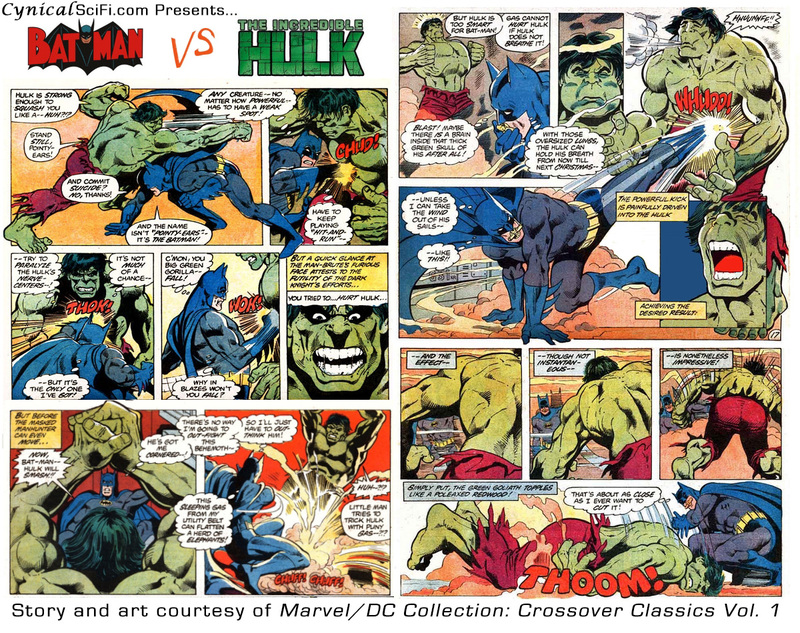 Try convincing someone today that the modern Batman could take down the Hulk. We did. The last fifty years has shown us some pretty harsh truths about our world. Wars. International Terrorism. Pervasive Economic Greed and Instability. All of these things existed before, but are now a daily part of our lives thanks to the global network of cameras and information that are nearly impossible to ignore. Somewhere along the line we stopped believing in Shark Repellant. The convertible Batmobile was fine until snipers rose out of solely military use and into our collective awareness. Soon, a man in grey and blue tights looked small compared to the problems we saw. So Because We Changed, Batman Changed Too. First came Frank Miller’s Dark Knight Returns (1986), the story of an aging Bruce Wayne and how he deals with the way the world is turning out. This story didn’t take place in the regular Batman world. It was a possible future, one way that the character could turn out. We liked it. It changed our view of Batman. He became colder and more detached. We liked it so much that we began to take things from him, most notably Robin. A Death in the Family (1988-1989) gave us the chance to tear a piece off of Batman and we took it with glee. DC let fans vote whether to kill off the current Robin. We did, permanently darkening Batman. Also in 1989, Tim Burton directed the first Batman feature film since Adam West wore the costume. The tone was dark and Batman was in an all black armored suit. He was a fierce and humorless fighter and we couldn’t get enough of it. The Jokes were gone. Batman became an overworked and under supported shell of himself. Even after training a new Robin, he was still driving himself past his limits. One villain caught on to this and exploited his weakness. In Knightfall (1993-1994), Bane broke the Batman we knew once and for all. He came back as something different. Batman is now someone who we consider believable. He is aggressive. He is armored. He is unwilling (or unable) to make friends. He drives a tank and has extensive training. He has access to technology that keeps him ahead of his friends and foes. He’s More Cynical, Like Us. The weird part is that we like him better this way.